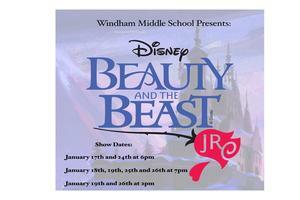 Windham Middle School Presents Beauty and the Beast Jr. 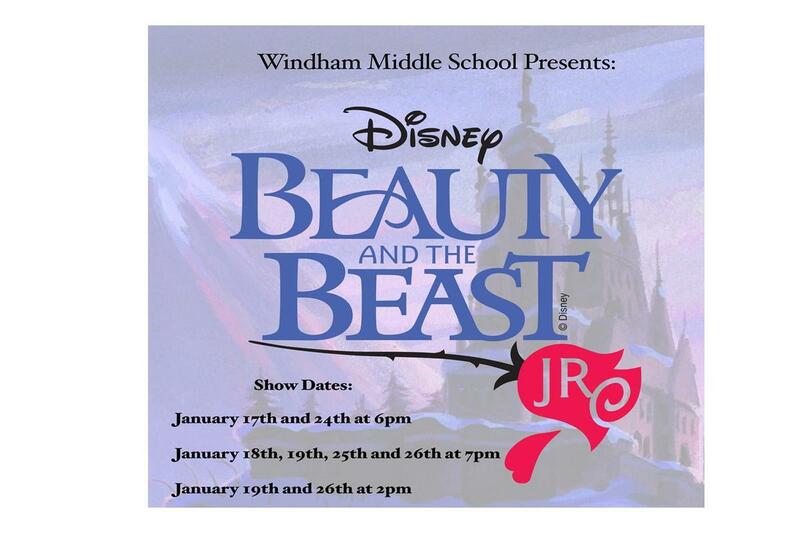 Please BE OUR GUEST at Windham Middle School's production of Beauty and the Beast, JR at the Windham Performing Arts Center! We have two great casts this year, and eight opportunities to see the show! General Admission, tickets at the door. $10 Adult, $8 Student/Child. Doors open 30 minutes prior to show time.